Varied countryside from the Cotswold fringe to the chalk hills of the Chilterns, via the historic Thames valley. Hampton Gay (3 miles): Stroll across the meadows to an isolated church and ruined 16th-century manor house. Hampton Poyle & Bletchingdon (4¼ miles): Climb to a pretty village with a historic church, country house and village green. Cherwell valley (4½ miles): Visit four historic churches, plus a ruined manor house and a pretty riverside return. Widford Church and Swinbrook (2½ miles): Visit an isolated medieval church in a meadow and explore Swinbrook village in detail. Widford Church and Paynes Farm (4 miles): A longer walk through wooded country with magnificent views to Asthall village. 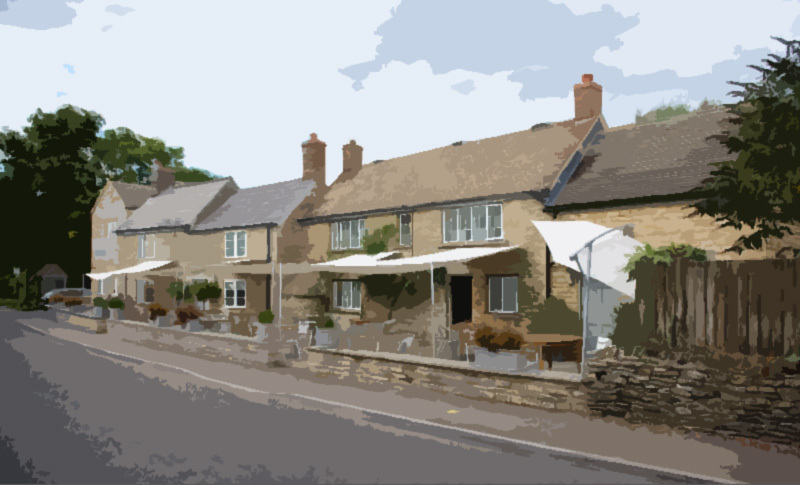 Asthall, Widford and Swinbrook (4 miles): Three Cotswold villages and an extended exploration of the Windrush valley.